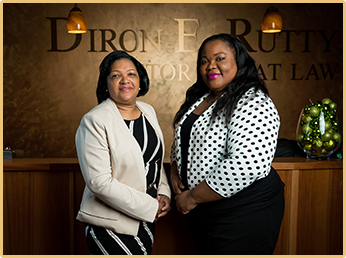 The Law Office of Diron Rutty, LLC, specializes in the following areas of law. We have been serving the New York City and Poughkeepsie areas since 1995. Our three main objectives for estate planning are to first and foremost help clients protect their assets. Then, we help provide for minors or the disabled and are always looking for ways to help clients minimize or avoid New York estate taxes. Following the loss of a family member or close friend, you may need to go through the probate and administration process. Whether someone dies with or without a will, probate is the process that helps legally delegate the deceased’s estate. A will makes the process a bit easier and more streamlined, but it is still possible if there is no will — the strategy will simply be approached differently. Working through legal family matters is not nearly as fun as the 1990’s sitcom. The struggles Carl Winslow faced with his family cannot compare to the loss many of our family clients face each day. Our family law practice largely involves divorce; however, we are also experienced in providing legal counsel for many additional needs, including those involving children. We can help you resolve these matters outside of the courtroom, but we can involve the court if necessary, too. Part of our family legal service includes an unbundled service that allows families to purchase and download common legal documents, fill them out with personalized answers, and return it to our law office. Our team then reviews and prepares your documents, which can be amended as necessary, and then submitted to the court for official filing. This saves time and money for couples who can mediate on their own and do not need professional intervention. Our first goal as immigration lawyers in New York is to make sure our clients are updated with the constantly changing, and often confusing, laws. These changes sometimes have minor effects, while other changes can be completely life-altering. Moving your life can be both an exciting and a stressful time. Pursuing a new house, selling your old one, or working commercially and in investment real estate can lead to a whole new world of legal services, sometimes including unexpected hurdles. With contracts galore, it is essential to have a pair of legal-focused eyes on the contracts to make sure everything you sign is in your best interest.